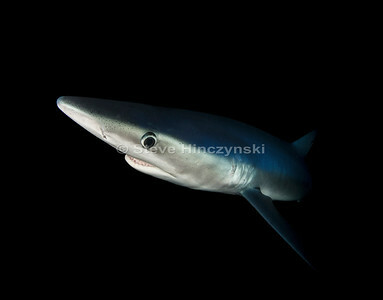 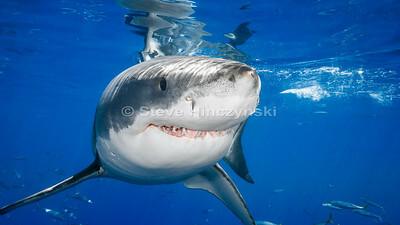 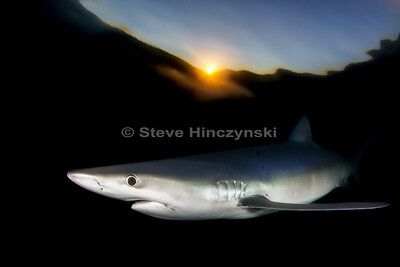 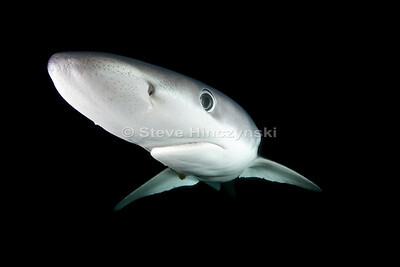 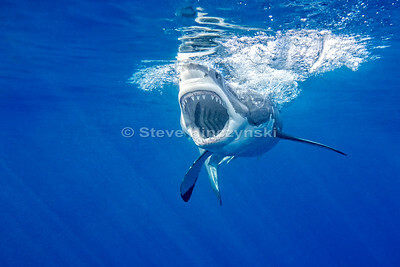 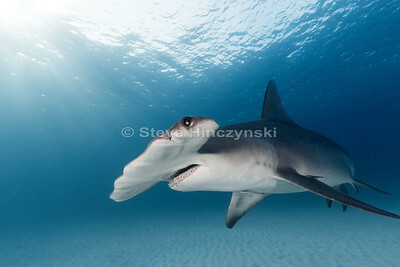 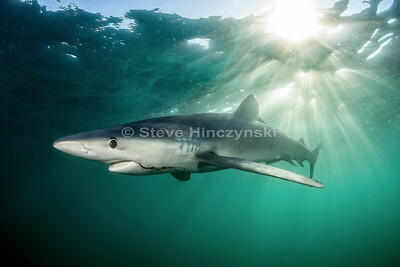 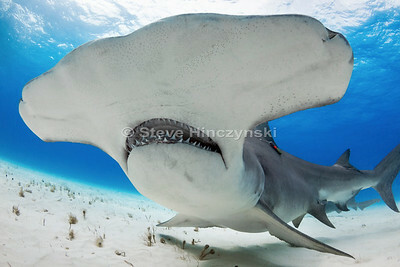 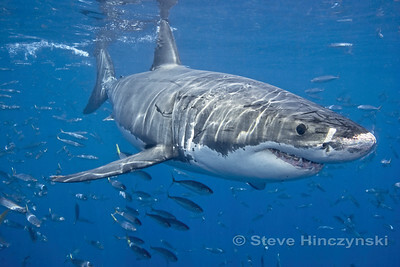 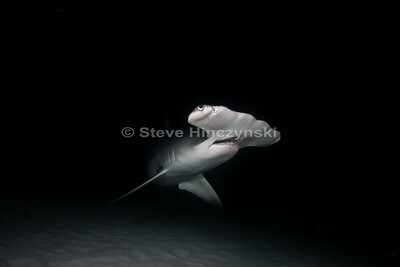 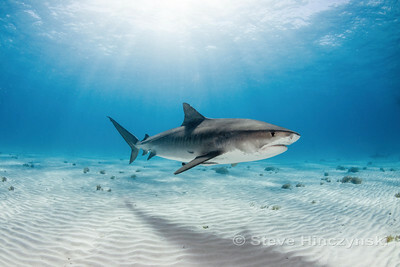 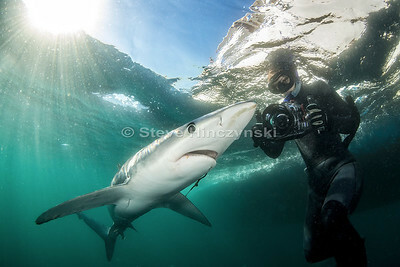 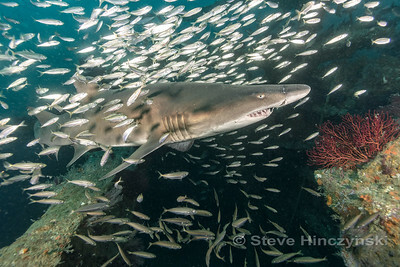 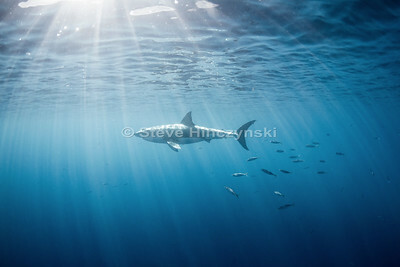 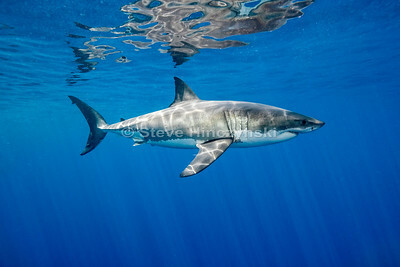 A Blue shark cruises below the surface as the sun sets just above. 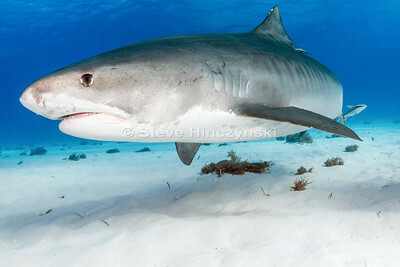 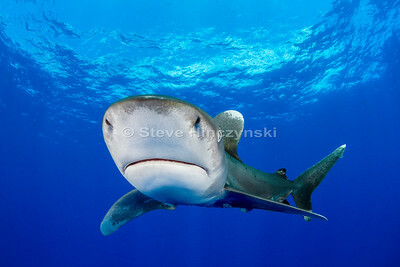 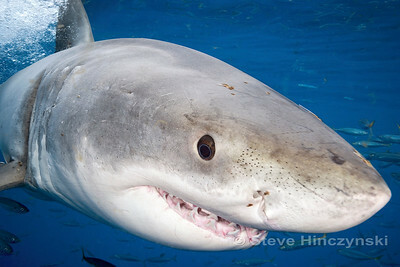 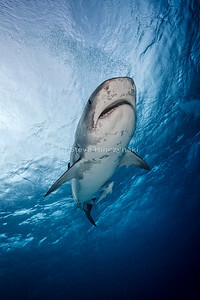 Getting checked out by a beautiful Tiger shark. 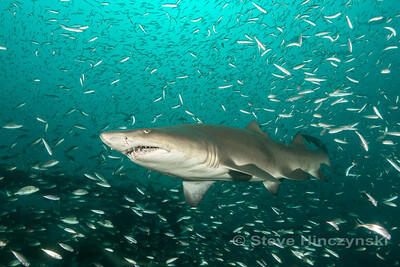 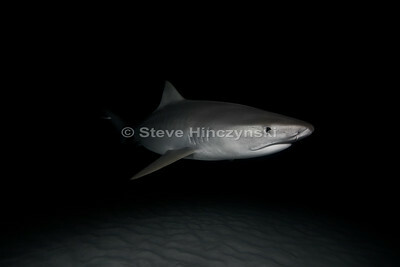 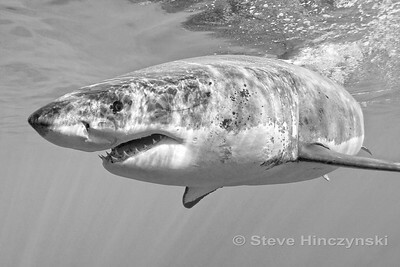 Night diving with a Tiger shark. 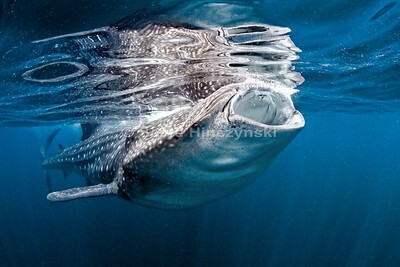 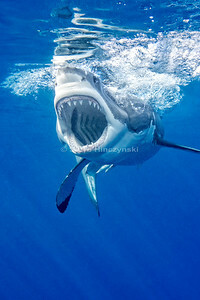 A Whale shark swims with its mouth open feeding on plankton.